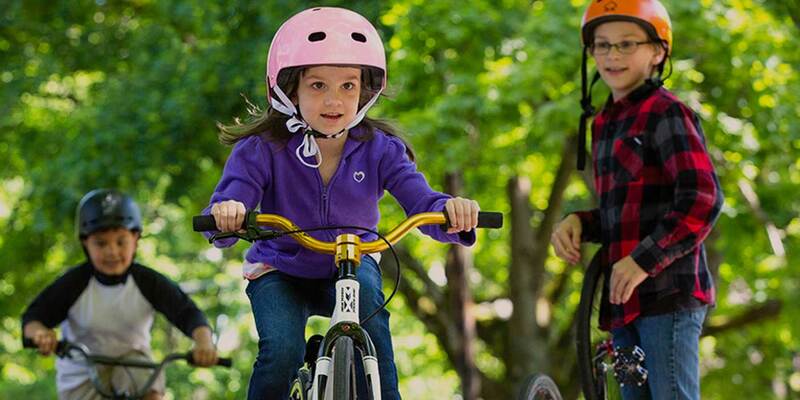 The kids in the Pink Helmet Posse are riding walls and breaking them down. They're also learning about encouragement, dedication, determination, camaraderie, and stoke! Sunshine, music, and the usual suspects. The skate park at the YMCA in Encinitas, California, was all a swirl with riders —specifically, boys on boards — grinding and flying, looking to perfect their moves. However, one pink helmet stood out from the crowd. 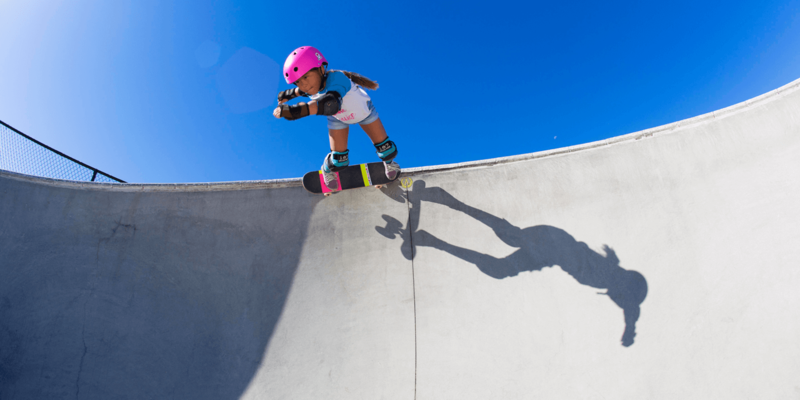 Bella Kenworthy, age 5 (at the time), was skating with her dad and brothers and — as usual — was the only girl in sight, until she spotted another pink helmet, Relz Murphy — a girl her own age — skating by herself. The girls gravitated towards each other, their dads met, and a casual chat began. The dads talked about how their daughters both loved skating, but were always the only girls at the skate parks. After that they decided to start planning ‘skate dates’. And with that, the ‘Pink Helmet Posse’ was born. 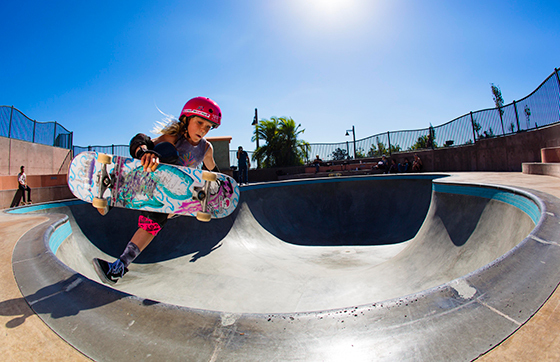 According to Jason Kenworthy, Bella’s dad, Pink Helmet Posse is about more than getting girls to skate. 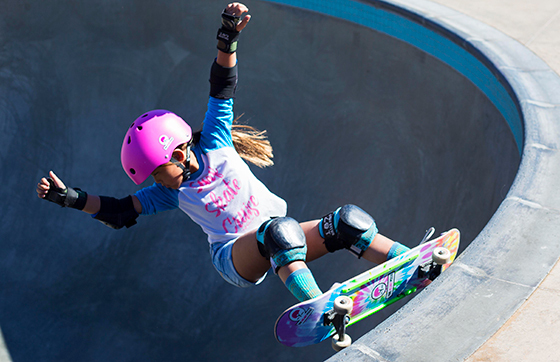 “To us, it’s a movement that happens to rally around girls who skate. We want them to learn that they can do anything they put their minds and hearts to. Not to mention that playing and adventuring outdoors is a great way to rejuvenate the soul in general. 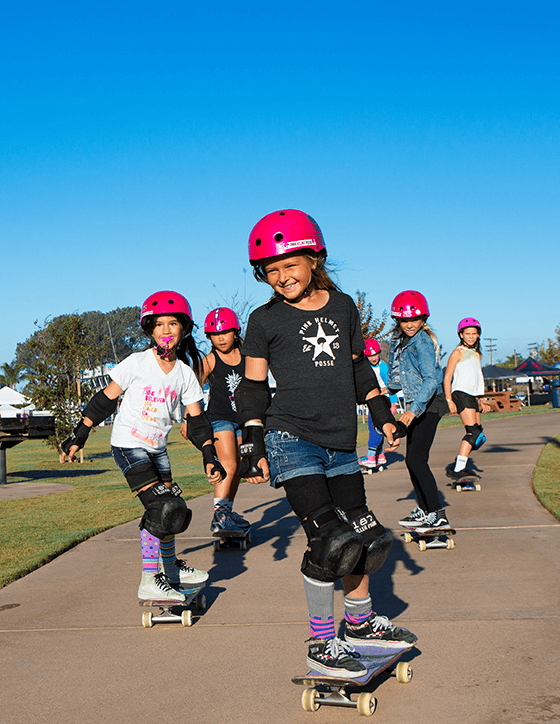 The Pink Helmet Posse is a group of skateboarding girls, but we want to inspire ALL kids to get out and change the perception of what’s a ‘girl sport’ and what’s a ‘boy sport’.” Additionally, Pink Helmet Posse sells skate equipment and apparel that’s geared towards girls. Bella and Relz are key in deciding which products are featured on the website. If they like it, it’s in. If they don’t, it’s not. Once Bella and Relz started skating together they noticed more and more girls at the skate parks who shared their passion for skating. “I love being able to skate with a group of girls," Bella says. "I love getting to be a part of something where girls encourage other girls to be rad!” Relz says. 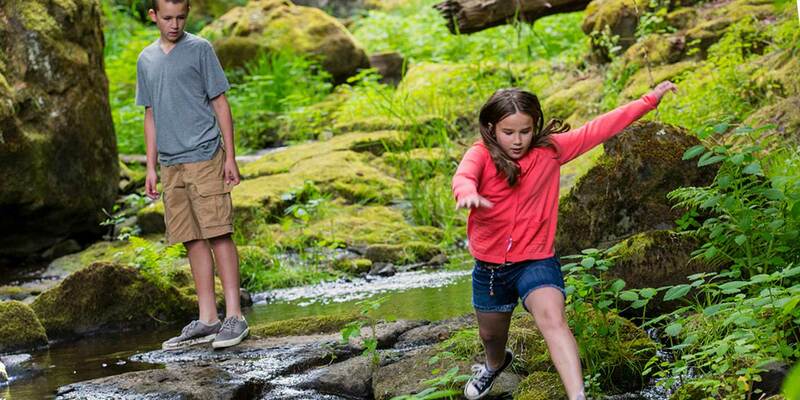 Bella and Relz love skating, and they’ve both enjoyed all things outdoors and adventure since they could walk. They share a major passion for surfing, and other activities, including rock climbing, mountain biking, snorkeling, yoga, and bodysurfing. And cartwheels, plenty of cartwheels. Though riding walls is what initially brought them together, it’s ultimately the walls they’re knocking down that are setting them apart. Ride on, girls. Ride on. You’re rad indeed.